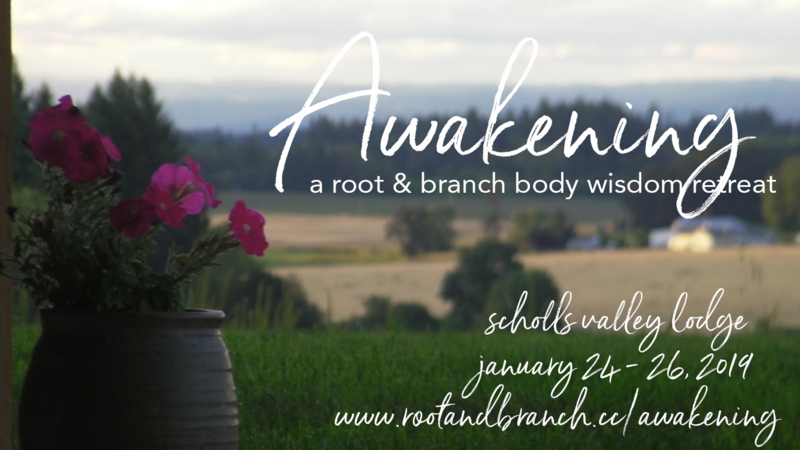 Awaken to the new year with an intimate gathering of women for a restorative retreat weekend at the beautiful Scholls Valley Lodge in Hillsboro. Escape the winter blues. Awaken the inner wisdom in your body, mind, and heart. Ground yourself deeply in your roots to create the space you need to grow and flourish. 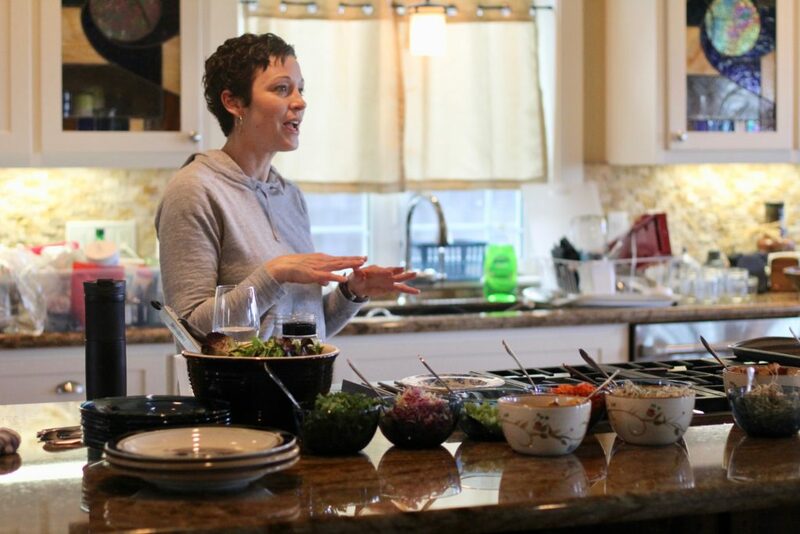 Reconnect with your body wisdom, examine your relationship with food, and leave with fresh, healthy recipes presented by body wisdom coach, Genét Friess, MSW, CHC. Enjoy soothing, strengthening, alignment-based yoga classes with Audrey Buchanan, RYT yoga instructor. Awaken to the present moment and experience the clarity and richness of life through guided meditations with meditation teacher, Missy McConkie. Bask in natural beauty of Oregon's wine country. Connect with other women. Give yourself the gift of Awakening this January! "This is one of the best things I have ever done for myself. What a wonderful way to have self-care and get educated on having a better life. This is SO worth the time and money. It's a priceless experience. " -- Heather R.
Join for our next fabulous retreat weekend! Email Genét and we'll let you know as soon as the details for the next retreat are finalized! "I loved everything about the retreat! It has opened my mind to different ways of thinking about my body, food, and outlook on the 'diet' word. I have found new meal ideas and food not tried before that were delicious. I am learning to enjoy the journey! I have lost 20 pounds since the retreat and I don't feel like I am depriving myself, but feeding my body better and, in turn, I feel better about myself because I am more in control of what I am putting in my body." -- Terry B. "This retreat was life-changing. It brought me the peace and confidence to move through the chaos of life with the knowledge that I am enough." -- Natasha C.
Our January Retreat was fabulous! the details for our next retreat are finalized! 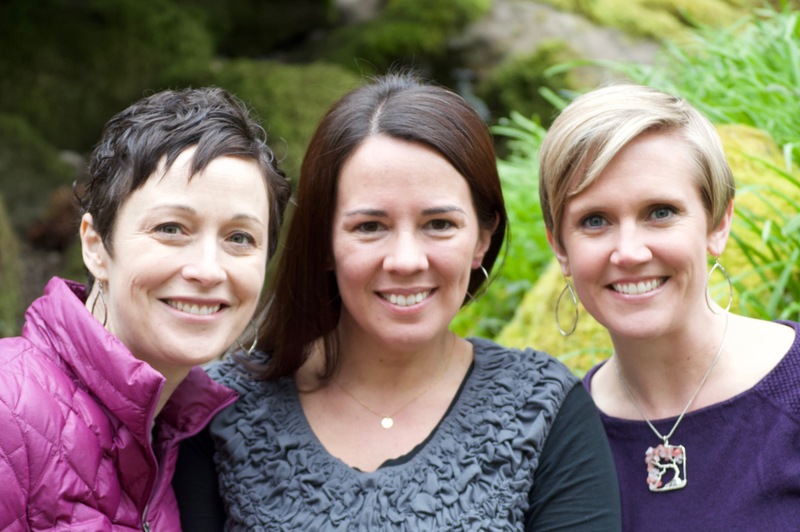 "I truly enjoyed being with all three women (Genét, Audrey, & Missy) and the expertise they brought with them. I feel like I have a starting place to build in the three areas (body wisdom, yoga, and meditation). I loved Genét talking at the food counter and sharing her experience. I also loved seeing the way she incorporated simple foods into a lovely presentation. I loved the versatility of quinoa! I would definitely recommend a Root & Branch retreat to others!" -- Lois W.
"What a gift this experience has been - my body, mind and soul feel beautifully nourished. I've been yearning to practice the art of being calm but have struggled to know how to achieve this. The unique opportunity of learning mindful eating, meditation, and yoga completely resonated with my entire being. Thank you for opening my eyes and heart to this new way of being." -- Pamela R.
Are you interested in joining us next time? 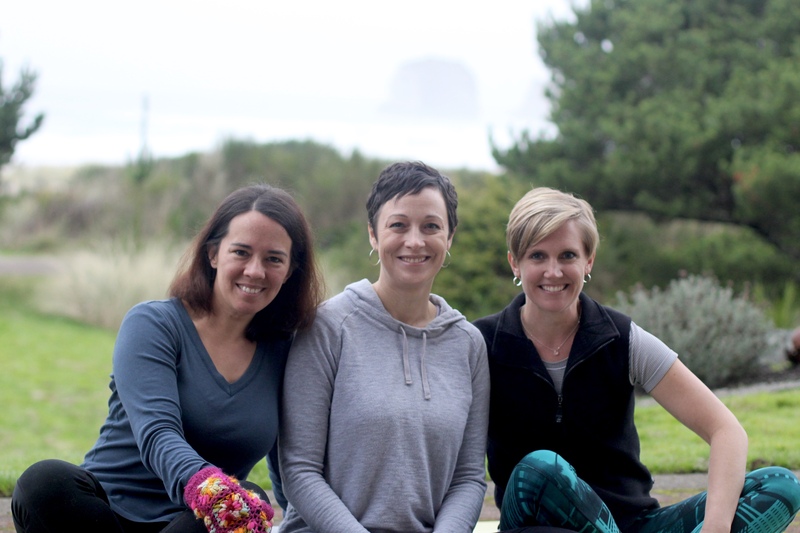 Find out more about our next Root & Branch Retreat! "Amazing! [The retreat] exceeded my expectations. Everything was so rich. I loved the classes and the synergistic experience from the trio of classes as well as the group of women and the closeness we all now have. I feel so enriched. Thank you!" -- Courtney A. "I thoroughly enjoyed the retreat. I expected that it would be relaxing and enjoyable, but it really did exceed my expectations. The healthy food was delicious, the yoga classes a reminder how much I love yoga and the meditation a new experience. Each of the instructors were well informed, interesting and quite professional. They made each class fun and informative. They put you at ease no matter your age, fitness or knowledge of that particular subject. They were pros at getting the group to gel and feel comfortable. The energy at the retreat was very positive and uplifting. It was motivating to improve ourselves, to improve relationships and our lives. It was wonderful." -- Kathy L.
Find out the details of our next retreat as soon as they are finalized. "A fantastic experience! It met all my expectations and hopes... The food was sensational. The bonding [of the group] was so special and the classes were life changing. It wasn't all new to me, but it's so helpful to do it in this setting with great people." -- Melody A. "What a wonderful few days of abundance. Spending time and meeting new women from different backgrounds. This is always powerful. Food, yoga, meditation all together. What a benefit!" -- Linda W.
Escape the winter blues and join us this January! Genét Friess, MSW, CHC, is a body wisdom coach who helps women and men feel AMAZING in their own bodies through tuning into their own body wisdom and honoring what their individual body needs and wants, so they can step out of confusion and overwhelm -- and step into trust, peace, and health. She has a masters degree in social work, and she is certified as a health coach and as a life coach through the Health Coach Institute. Coaching provides the perfect opportunity to use her social work counseling skills in combination with the nutrition knowledge she gained through her training, as well as her own personal health journey. She works with clients one-on-one and in groups, giving them the system, support, and accountability they need to make lasting habit change — all without diets or counting anything! Genét’s gentle, but powerful approach to coaching will allow you to discover for yourself what you need to be at peace with your body, your food, and your health. When she’s not coaching, Genét loves experimenting in the kitchen, hiking outdoors, and spending time with her family, and practicing yoga & meditation (as taught by her fabulous teachers, Audrey & Missy). She loves chocolate and makes it a part of her health practice to enjoy it every day! Follow her on Instragram @rootandbranchcoaching. "What a wonderful three days I experienced with you and all the other beautiful women. I am still amazed at the wealth of knowledge you have about nutrition. I have tried a few recipes at this point... My husband and I are thrilled to have these meals in our lives. You are a beautiful woman inside and out." -- Linda W.
Audrey Buchanan has a university background in Social Work and children's early social/emotional development. As a RYT yoga instructor, Audrey teaches Alignment-based Yoga because proper form leads to maximum benefit and minimizes the risk of injury. She enjoys yoga for both its slow physical strengthening and its physiologically calming properties. She works with yoga clients one on one and in group classes as well, and can craft sequences for particular individual needs. Audrey lives in Lake Oswego with her sweet husband and four busy children. In her spare time, she enjoys hiking, running, and reading, but mostly napping. She talks in her sleep and is addicted to Starbucks hot chocolate (don’t tell Genét). She is so excited to work with and learn from everyone here this weekend! Follow her on Instagram @yogayourway.lakeoswego. "I loved doing yoga outside. All of the sessions were instructive and I love Audrey's calm demeanor and how gentle she takes it." -- Pat R.
Missy McConkie was drawn to meditation nearly a decade ago when chronic pain and a major life transition left her feeling desperate, foggy, and hopeless of ever feeling well again. What first felt like a shattered world and a dissolved foundation has led to an exquisite path of awakening, clarity, and love. Of course not every moment is quiet contemplation; Missy loves both playing and teaching music, playing with her three kids, working with a local non-profit, and eating anything that Genét makes. "I loved the meditation workshops. I appreciated Missy's willingness to be so personally vulnerable. Her intelligence brought it all forward." --Kaaren P.
Didn't make it in January? Let us know and we will add you to the waiting list for our next retreat!